1.1 We are committed to safeguarding the privacy of our website visitors and service users. This refers to the domain sunshinestudios.gr. 1.4 Our website incorporates privacy controls which affect how we will process your personal data. By using the privacy controls, you can specify whether you would like to receive direct marketing communications and limit the publication of your information. You are asked when you register to our site when you want to make a booking to Sunshine Studios. 2.2 We may process data about your use of our website and services ("usage data"). The usage data may include your IP address, geographical location, browser type and version, operating system, referral source, length of visit, page views and website navigation paths, as well as information about the timing, frequency and pattern of your service use. The source of the usage data is Google Analytics and the Web host Server. This usage data may be used only to improve the site's performance. 2.3 We may process your account data ("account data"). The account data may include your name and email address. The source of the account data is given by you when you register in the site. We need these data because it is obligatory for any hotel to know the precise information of the visitors. 2.4 We may process your information included in your personal profile on our website ("profile data"). The profile data may include your name, address, telephone number, email address, gender, date of birth. The profile data may be processed because it is obligatory for any hotel to know the precise information of the visitors. 2.5 We may process information contained in any enquiry you submit to us regarding services ("enquiry data"). The enquiry data may be processed for the purposes of offering, marketing and selling relevant goods and/or services to you. 2.6 We may process information relating to transactions, including purchases of goods and services, that you enter into with us and/or through our website ("transaction data"). The transaction data may include your contact details, your card details and the transaction details. The transaction data may be processed for the purpose of supplying the purchased goods and services and keeping proper records of those transactions. 2.7 We may process information that you provide to us for the purpose of subscribing to our email notifications and/or newsletters ("notification data"). The notification data may be processed for the purposes of sending you the relevant notifications and/or newsletters. 2.8 We may process [information contained in or relating to any communication that you send to us ("correspondence data"). The correspondence data may include the communication content and metadata associated with the communication.Our website will generate the metadata associated with communications made using the website contact forms.The correspondence data may be processed for the purposes of communicating with you and record-keeping. 3.1 We do not provide your personal data to a 3d Party unless it is asked by authorities in which we are obliged to provide since we are a Hotel. 3.2 We may disclose your personal data where such disclosure is necessary for compliance with a legal obligation to which we are subject, or in order to protect your vital interests or the vital interests of another natural person. We may also disclose your personal data where such disclosure is necessary for the establishment, exercise or defence of legal claims, whether in court proceedings or in an administrative or out-of-court procedure. (a) data that the Greek Authorities need are stored as long as our Studios are active. These data are name, surname, id, adress, birth place, date of birth. This is an obligation form the Greek Authorities. 5.3 We will notify you of changes OR to this policy by email or through the private messaging system on our website. 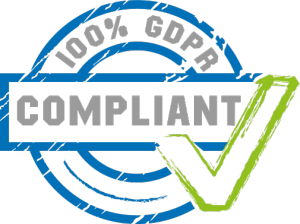 6.1 In this Section, we have summarised the rights that you have under data protection law and GDPR. (d) the right to withdraw consent. 9.2 We use Google Analytics to analyse the use of our website. Google Analytics gathers information about website use by means of cookies. The information gathered relating to our website is used to create reports about the use of our website. 10.1 Most browsers allow you to refuse to accept cookies and to delete cookies. The methods for doing so vary from browser to browser, and from version to version. You can however obtain up-to-date information about blocking and deleting cookies via the browsers instructions. 13.1 This website is owned and operated by Sunshine Studios. 13.3 The registration number of Sunshine Studios can be found at the bottom of the page. By submitting your information at the registration form or at the contact form you accept all the terms and condition of this site and also you declare that your age is 18 years or more. If you don't agree with any of the terms of this site you must leave it.